It’s always good to plan ahead. That’s why our North Haven area VW dealership offers you a convenient way to calculate your car loan. By using our loan payment calculator, you can decide which vehicle might work best for you. If you have questions on car loans above what the loan calculator can provide, then feel free to contact us at any time. By figuring out what the loan payment would be, you can get a better idea of what your monthly budget will be after you purchase a new or used car in Executive Volkswagen of North Haven. If you want to get the ball rolling on your new VW purchase, feel free to use our quick and easy finance application! Once you’ve utilized our handy online car payment calculator, make your way over to our VW dealer and let our experts handle the rest! Our finance specialists are dedicated to securing you a loan at the best rate possible. We understand the stresses that come with adding another bill to the list, so our goal is to provide you with a payment plan that doesn’t have to break the bank. Have any questions regarding your potential monthly car payments? We are more than happy to answer them! 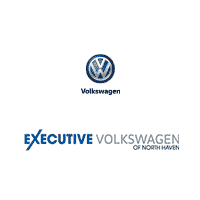 Feel free to contact Executive Volkswagen of North Haven near New Haven at (855) 250-6818.